With her statuesque bushy habit and beautiful bountiful blooms, this baby stands above her playmates. Lots of very shapely red buds open to luminous pink blossoms with very classy form. 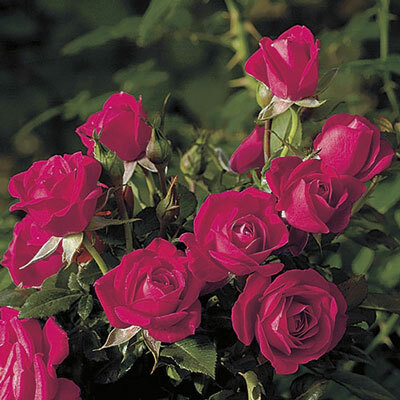 Each rich pink petal has just a touch of yellow at the very base, giving the flower an inner glow. There's hardly any fade in color from fresh flowers to finish. Deep glossy green foliage. Consistent in all climates.